Fidel really does seem like a top of the line disapprover. You know that may not last. When the fact that he has been rescued from a terrible situation by some really wonderful people has had a chance to soak in, and when later on he goes to his forever family, he'll probably let himself be dressed in little bunny costumes for seconds on end on special occasions. I am seeing him with a little Santa hat right now. The instant I saw this guy and the determined set of his paws I knew (with a shiver) he was the more disapproving bunny incarnation of this character: https://www.youtube.com/watch?v=A8yjNbcKkNY. Oh! Oh my! 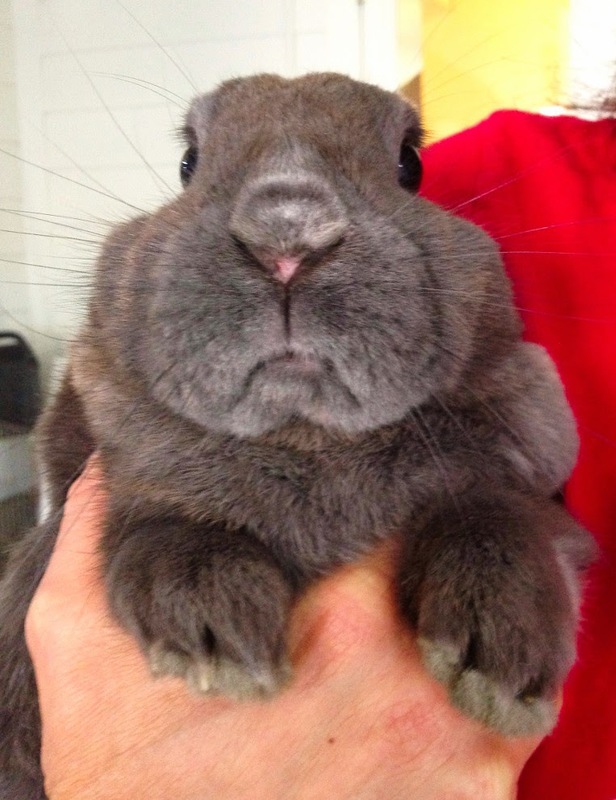 That little disapproving mouf and squishy fur! I would like to give him kisses right now, and hang the consequences! He was definitely born to disapprove.